We’ve been in the Scottish Borders at times in the winter when the temperature during the day never got over -5C for days on end. So being creatures of comfort, we were determined to make this house a cosy one. We also don’t like spending money on fuel so we wanted to take advantage of the various renewable energy heating systems out there which will insulate us not only from the cold but from rising energy costs into the bargain. 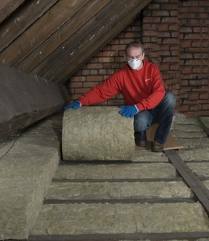 But first of all, the most cost effective way to build a warm house is to put good insulation in the walls, floor and roof. The house is designed to be very cosy. Walls about 380mm thick with over 170mm of different types of insulation material will keep in the heat. With U-values for the walls at 0.16, and with even better figures for the floor and roof, we are looking at a house with a worst case heat load of about 7kW. 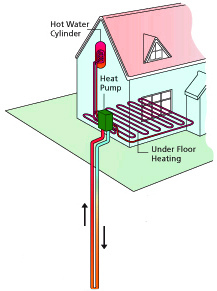 When we’ve taken hot water into account, we only need at most a 10kW heating system. The current plan is for the walls to be filled with some form of blown insulation such as the Warmcel paper based system. This has the advantage of filling all the spaces between the studs reducing the amount of air that can creep through. Once the blown insulation is in place, we’ll cover it over with a 25mm thick layer of insulation board. 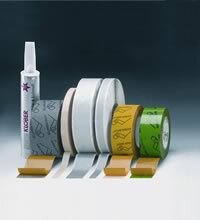 We’ll have the whole insulation and timber frame sandwich wrapped in breathable membranes to help control condensation. Then we will leave a 25mm gap for a service void and then we’ll cover it all over with plasterboard. The service void makes it easy to route cables and pipework through the building as well as adding a bit more insulative capacity. The insulation in the roof is a bit of a mixture. Because we have rooms in the roof, there are three different types of insulation to be installed. The little side walls in the eaves will be much the same as the downstairs wall. The sloping ceilings with have 150mm of Kingspan insulation board covered with 37mm insulated plasterboard, and in the loft the flat ceiling will have over 300mm of Rockwool loft insulation. Just need to leave space in there for the cold water header tank. Under the floor there will be a 150mm concrete slab on top of which will sit 140mm of Kingspan, then another 60mm of screed for the underfloor heating pipes. To complete the picture, the windows will be a mixture of double and triple glazed units with U values around 1.2, and the doors have U values around 1.4.The compromise here is that there will be quite a bit of glass on the north side of the building, and the windows will all have trickle vents rather than putting in a mechanical ventilation system. This has an impact on how much heat we will need. After insulation, the next important things to look out for are stray draughts and other places where heat can sneak out unnoticed. Andy has designed in as much detailing as we can afford to keep heat losses to a minimum. 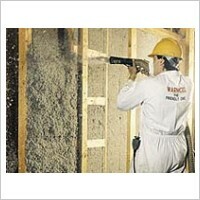 Completely sealing a timber frame building that has the insulation applied on site is difficult. It’s better if the panels are entirely built up in the factory but this wasn’t an option with Andy’s design. We liked the design so we have compromised somewhat on the construction. Will it make a real difference? We think it might do but not a truly significant one. Besides if we completely seal the building at great cost, we then have to build in a mechanical ventilation system to air the place. The plot has no main gas supply so options are either to install an oil or LPG boiler, or to invest in a renewable energy system. Since we have a reasonable amount of land (just under half an acre, or about 1700 sq metres), we will probably install a ground source heat pump. This will be ideal to provide hot water for the underfloor heating we’re planning. The soil is fairly dry with sand and gravel so we may also have to drill boreholes down to saturated rock to get sufficient heat transfer going. Either way there should be enough heat for all our needs through the year. In addition, we’ll put some photovoltaic panels on the roof so we’ll have some free electricity to power all the pumps we’ll have – ground source pump, underfloor heating pump, sewage treatment plant compressor, all of which run all day long. And as a final back stop in case of power failure or really cold weather, we’ll put a small log burning stove in the living room. Hopefully it’ll be more for show than anything! You can also subscribe to our RSS feed in your browser or other feed reader. Design your own sustainable house! Subscribe Today to Plotfinder.net to find your dream plot.